De Hoop is enjoying a record-breaking number of whale sightings off the coast of Nature and Marine Reserve this year. Book a picnic basket and head down to Koppie Alleen for some truly world-class land based whale watching. 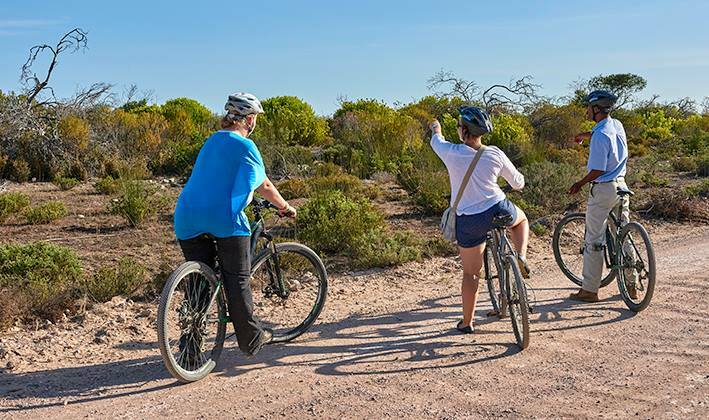 Explore the beauty of De Hoop on two wheels. Opt for a trail, or just ride around the Opstal area and enjoy the freedom of the wind in your hair and the sights of nature. 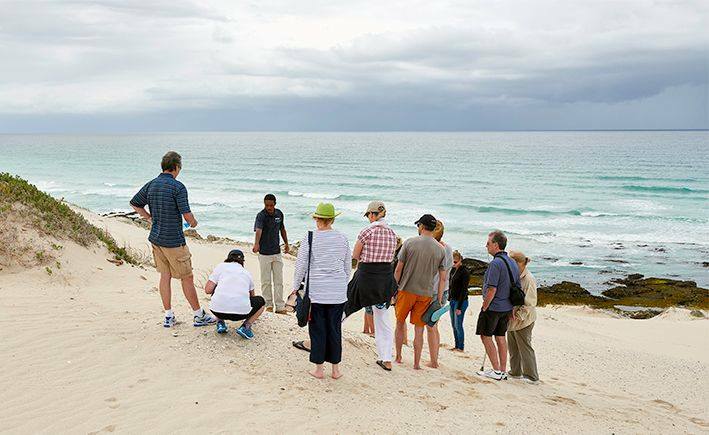 With no large predators, De Hoop Nature Reserve is the ideal space to get close to game and nature without fences. For those who would prefer a guided experience, kindly book at reception. 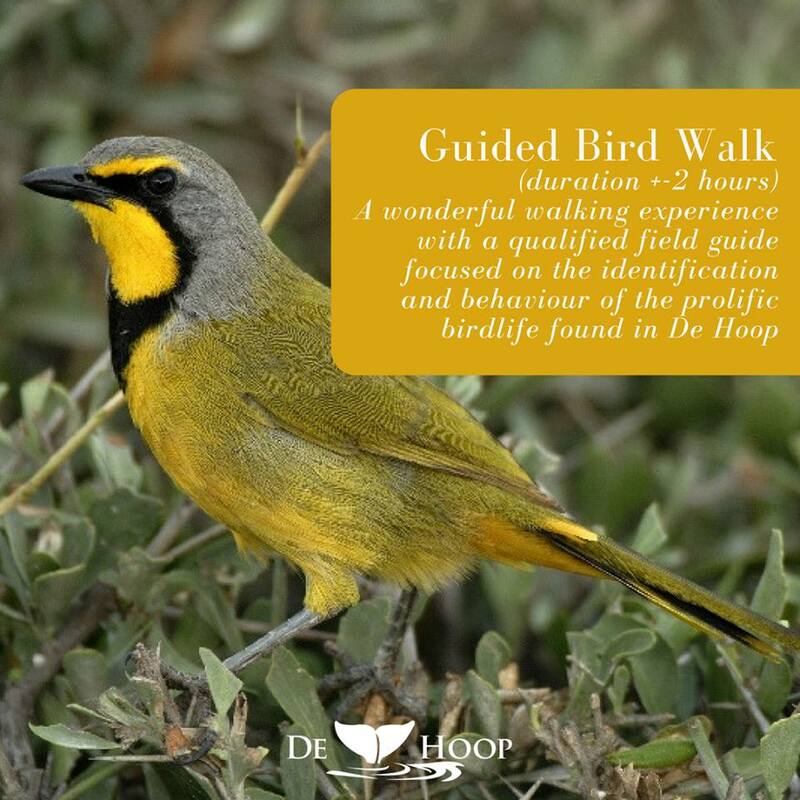 Remember to pack your favourite bird book and head off for a walk exploring the feathered friends who call De Hoop home, or sign up for a Guided Bird Walk and soak up the knowledge from our trained and informative guides. From renowned Conservation Photographer, Peter Chadwick. Recommended Viewing Points: Koppie Alleen, The Opstal, The Vlei Trail & The Klipspringer Trail at Potberg Farmlands on the drive into the reserve. 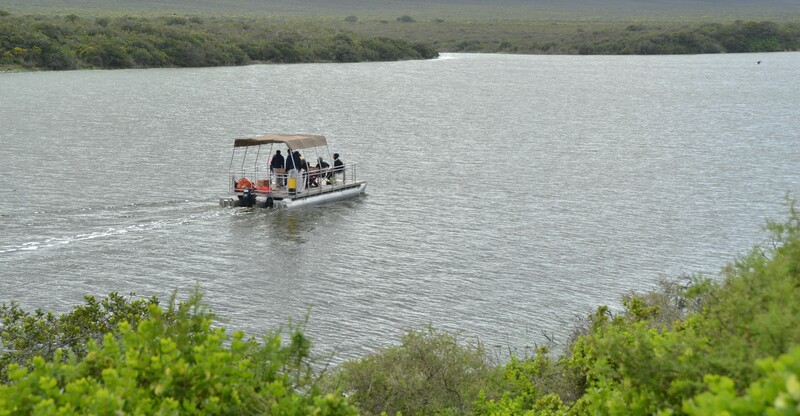 Enjoy an eco boat cruise on the Vlei (a protected RAMSAR site) and the tranquillity offered by this 19km stretch of water. Home to a plethora of bird life, it is another Twitcher Hot Spot. Winter has a way of wreaking havoc on our skin, why not rejuvenate yours at the De Hoop Spa? From facials to massages, you’ll be pampered to perfection with swoon-worthy ELEMIS products.